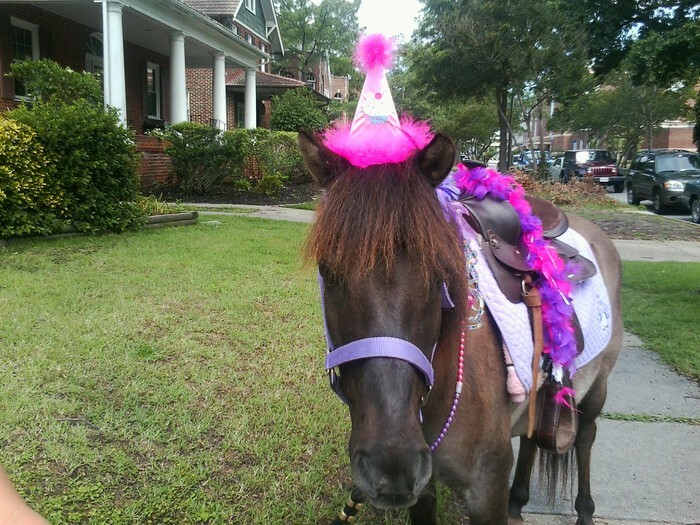 "We Bring the Farm to You"
This adorable pony is decorated for the birthday girl in mind! Pink and purple feathers and ribbons to match the birthday hat! 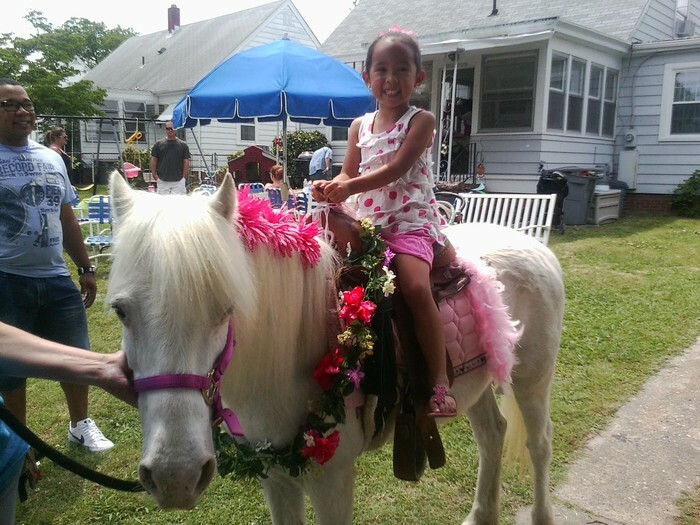 This adorable pony is adorned in our magical unicorn pony costume. 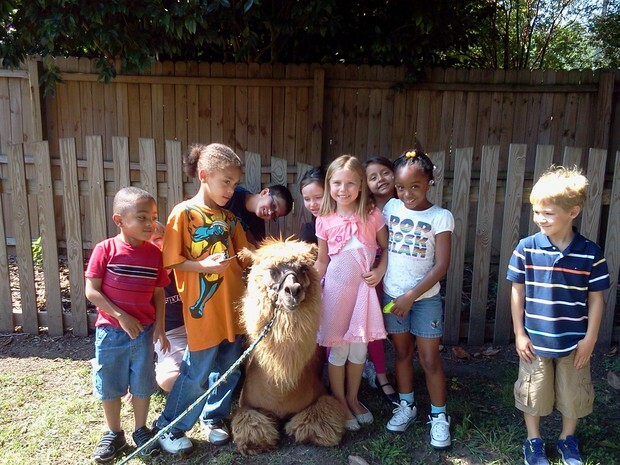 Any little girl's dream come true! 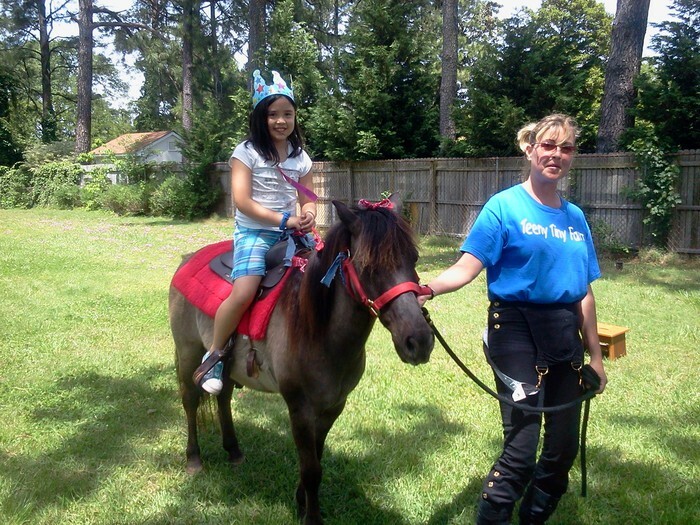 A princess pony for the birthday princess! 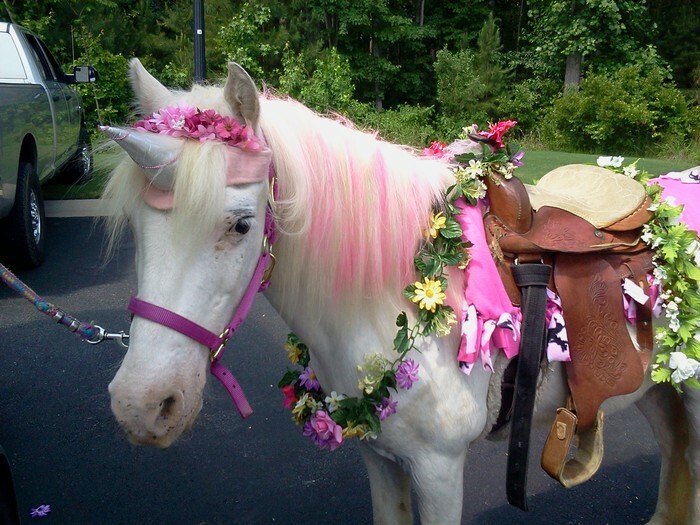 Pony is adorned in pinks and purple feathers, flowers and ribbons. 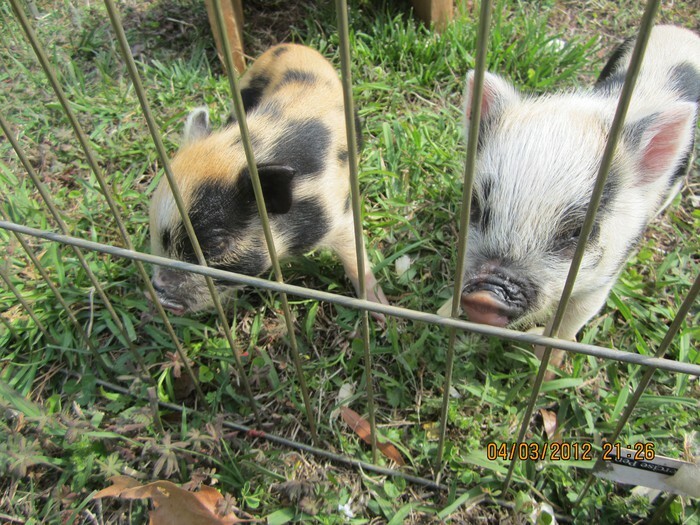 At a family fun event where the animals are enjoying grazing in the grass; what they do best! 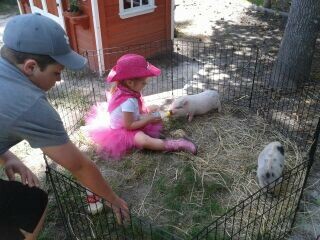 This little cowgirl sat in with our baby piggies to have hands-on fun! 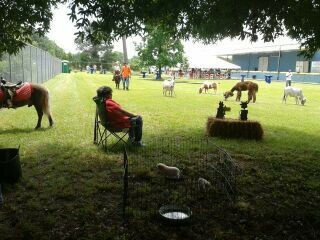 This birthday boy on his barnyard pony! 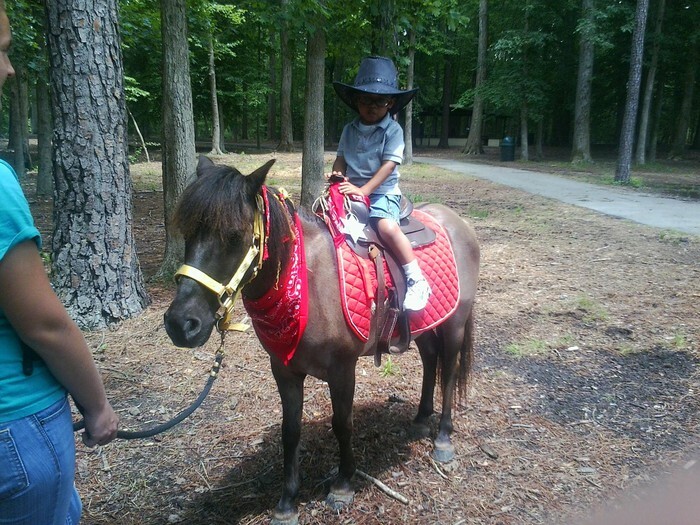 Adorned with a red bandana and matching saddle pad!